If you happen to be looking for mobile spy monitoring or tracking tools, it helps to have some expert advice help you find the right software for your needs and avoid any scams or dangerous apps advertised all over the internet. Unfortunately, due to the nature of cell phone tracking and monitoring apps, there are many fake virus apps or untrustworthy services to watch out for. The first step is to know exactly what you want accomplish and which program to pick for your specific mobile device. Most monitoring services are capable of spying on text messages all the way to social media apps. We have tested and analyzed all of the best spy and tracking tools available for mobile phones and tablets. We take the time to go down to the finest details to bring you informational reviews and guides for each one. Every service agreement and TOS is scrutinized to ensure that the provider is not logging, collecting and sharing your private data with third parties. Over time, we have come across fake spy apps that actually install viruses and/or scam your credit card, some simply don’t work, while others sell the private data collected by the tracking app. It’s best to see what others are saying about a certain spy app provider before committing. We are also committed to remaining ethical and honest with both our advice and suggestions. Spy tracking tools are mainly used by employers and parents, both of which are legitimate and legal uses for monitoring cellphones and tablets. However, it would be a lie to say that no one ever uses them for illegitimate purposes such as spying on an unknowing spouse or romantic partner. In such a case, we highly advise to verify your local laws and consider hiring a private investigator instead. Albeit it would cost considerably more, PIs remain legal in most places. Since 2011, mSpy has been providing their services with consistent updates and improvements. Due to their longstanding and continual positive customer feedback, they have garnished a proven track record as a leader in monitoring and tracking apps for cellphones, mobile devices, and even computers. In the last couple of years, they have become the best selling spy app and offer a wide range of features including support for Snapchat and Tinder. Another notable feature is their iPhone No Jailbreak solution that allows limited iCloud monitoring without having a jailbroken iOS device. It should be noted that the service no longer offers ambient mic and camera controls to record phone surroundings. 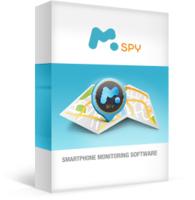 FlexiSpy closely follows mSpy as a cellphone spy software leader, and also has a longstanding service dating back to 2007. Offering an almost identical list of features, FlexiSpy has retained the ability to listen and record phone surroundings. The cost of service is pricier than most of their competitors, but justified with how well the spy software works. The main reproachable aspect of their service is the fact that they actively market to the ‘cheating spouse’ audience, even though it may be illegal for most regions. Otherwise, the app has tested well on multiple tests we ran across different platforms and cellphone models. Another trustworthy provider, MobiStealth offers an affordable service for spy monitoring software across cellphones, tablets, and computers. Although they offer less features than mSpy and FlexiSpy, the service still offers cell phone surround recording with the microphone and camera for full audio, picture, and video support. 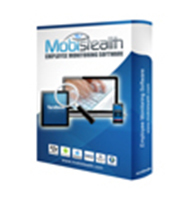 MobiStealth is notable for not requiring Android, BlackBerry and Symbian mobiles to be rooted in order to install and run the monitoring apps. Just like mSpy, they also offer a limited spying app for iPhones without having it ‘jailbroken’. There’s tons of bad software out there waiting to drive someone else to the brink of madness. When it comes to mobile spying apps, it’s no different. An important factor is simply how easy and smooth it is to install, use and operate on a regular basis for any level of user, from tech geek to non-techy soccer mom. Compatibility with popular devices is also important and has been covered to ease your selection process. Overall, it’s all about features and functionality. Depending on what you’re looking to get accomplished, different apps will offer varied features while sharing the same basic ones. You may need anti-theft protection, Skype and Feacebook messenger logging, GPS tracking, blocking access to certain websites or incoming calls and so forth. We have tested and reviewed each app to ensure it performs as promised. We often overlook the importance of an active support team progressively working to improve and update their software. As mobile devices and platforms grow and change, updates and improvements are required to ensure long-term dependability of your tracking software. In case of issues with setup, it helps to have an available support team along with clear FAQ pages and guides available online. In any scenario where you are allowing your private data, such as emails, text messages, phone calls, records, contacts, pictures, and videos to be shared from your cell phone onto another company’s servers, you want to pay the utmost attention to their service agreement. To our horror, we discovered that some providers such as Highster Mobile, which only charge a one time fee, all sell your private data to third parties. This is how they can afford to sell their spy app services as a one-time payment only, versus the popular monthly or yearly subscriptions offered by better and trustworthy competitors. If your privacy is of any concern, we highly advise to stay away from single payment or worse, free software options without first consulting their terms of service. Another aspect we wish to stress, is how important honest reviews and real customer feedback is. I have come across some websites that review cell phone text message spy software and such, just like us, but whom are clearly being dishonest about their suggestions. Some even look as they may be published by the monitoring software providers themselves. We do not hide the fact that some services provide us a small commission if you buy the app using our link. This is how we can afford to remain active and update the website regularly. However, we will never allow a payout to be the reason for suggestion a service above others, and we highly suggest to consult customer feedback by verifying the latest comments left below the post. What exactly is a cell phone tracker or spy monitoring software? Essentially, it is an application that allows the user to monitor and track the usage of a mobile cell phone. The apps that are available commonly offer the same features while some offer unique capabilities. Ultimately, these are surveillance tools used for security and monitoring in the format of mobile apps and software, and some of the most advanced options offer very sophisticated capabilities. What are monitoring apps used for? There are various applications for spying apps that range from simple theft protection or parental control to monitoring a large number of devices. Employers are commonly benefiting from using trackers and monitoring apps on company cell phones. It allows them to quickly detect a worker wasting too much time playing games or browsing social media while on the clock. Another important could be to track and protect confidential or valuable information from being leaked or sold to competitors. Parents also make up a considerable part of mobile spy app users all over the world. With the uprising of technology, kids as young as ten or eleven already ask for the latest iPhones as birthday presents! The usage of mobile devices has also grown into tablets and iPads and with all that’s out there, it is impossible for parents to have control without the help of specialized tracking software. These types of services become effectively helpful in tracking the whereabouts of hard to control teenagers and ensuring their safety at all times. Employers can have better productivity from their workers all while securing sensitive data and protecting against device theft. Parents can have full control over what their child is doing online. The list goes on and the powerful software can be used by anyone, giving everyone capabilities that were once reserved for elite government spy agencies. Tracking apps all share a similar setup and access system. The software needs to be installed on the specific smartphone, tablet or compatible mobile device. Once setup has been completed, all the collected data will be sent to a secure server that you can access through their website with your account login and optionally receive email notifications and logs. The service requires an internet connection to be active through the carrier or Wi-Fi. The first step is to choose a compatible service for your device model and operating system, such as; Android, iOS, BlackBerry, Windows or Symbian. Our guides and reviews will help you quickly find the best software for your device and needs. It is important to note that iPhones and iPads require to be jailbroken to install third-party applications and the majority of tracking apps can’t be installed otherwise. At this time, there is one service offering software that does not require a jailbreak. The second step is to install the app. It is very important to note that you must have physical access to the device in order to install the application. You cannot install it remotely and be vigilant of anyone offering you such a service. All remote install spy apps are hidden scams and it is not possible to remotely install software without illegally hacking a device. Once the app is installed and activated, the good ones remain hidden and you’re set to use the services. The answer to that question depends on how you use it. It is absolutely legal to install a Cellular Spy App on a device you own, but installing it on someone else’s phone without their prior knowledge or consent is not. If you own the device or manage work phones at your employment or company, there are no restrictions against monitoring those devices, just as long as employees are made aware of the monitoring when provided with the cell phone. All service providers will have a small print regarding legalities and keep in mind that laws vary from country to country but the illegal act of spying on your spouse or any unsuspecting person can get you charged and it’s no joke. It is a known fact that many users still choose to take the risk due to suspicion of cheating partners and such. More information surrounding legal details can be found here.